Iropo town is a medium size town i.e. not too big in the heart of Ipokia Local Government Area, west of Ogun state in Nigeria. Some of it neighboring town include Ifonyintedo, Koko, Alaari, shareIdi-Iroko, Aseko and much more that are not listed here. 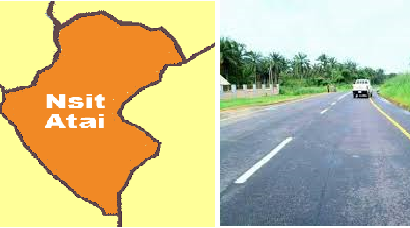 The town shares border with Benin republic and Idogo. The town is about 582km southwest of the countries federal capital territory. Iropo town is one of the 30 communities in Ipokia LGA Ogun state, one can travel to Cotonou, Benin republic on a motorcycle for few hours without the use of necessary document like Visa, Passport etc. The town is also surrounded by some Island like Tongeji Island, Whekan Island etc. The town has a population of over 20,000 occupants which are major, farmers, hunters, motorcycle-riders, teacher, medical personnel, public figures and many other people and profession. Soft sand, Red clay, and Kaolin are common in this land, the soil is also good for Agricultural practices. Fact proves that the land of Ipokia has a large deposit of Crude oil too and large rice production, making the Land to be an important site to consider for international trade. The people of this land are also prominent people in Nigeria and occupy prominent offices in the state and federal affairs some of this positions are minority leader in house of Assembly, former diplomatic, former deputy governor of the state, etc. but the town is not civilized compared to the fact it indigenes are well to do in the society. Iropo town delight so much in their food which is rich in protein, fat and oil, carbohydrate, and vitamins, their foods are Fried or boiled cassava, Gbon-npete soup, Iyan, Ajungun, Atakere, Atomboro, Epete-Ewa, Rice, and many other delicacies. Religion practice in Iropo is fair and it a common way of life in Ogun state, they are majorly Islamic, Christianity and Traditional religions. The common church in this area is Redeem Christian Church, Celestial Church of Christ, Faith Tabernacle and Deeper life. Another festival also takes place in the town which includes Oro festival and other traditional insanity performs to inaugurate their Oba. Since the Iropo’s are typically Yoruba people their major language is Yoruba. English is also spoken since it is an official language in the country, but the kind of Yoruba been heard here is slide different from another state because of their intonation. There is a popular mixed English called “Broken” anyone who is not familiar with the official English should be able to communicate with “Broken English”. Iropo is a town that shares it basic amenities with other towns, meaning it a rural community other towns indigene com to Iropo to share what they have and they also go to other towns to share in what they have. They town lacks good road, hospital, education and manages electricity, one will not boost of a good journey to Iropo because of it poor environ; but depending on your mission, there are hotels around where you can pass nights in the neighboring town. There is basically two airport close to Iropo town, the closest is Cadjehoun Airport which is about 66km from the town.